This is a great spice cookie that we usually enjoy during the winter holidays (autumn to Christmas). I found some nice looking persimmons while grocery shopping last week and since they are not grown in North America and rarely imported here during the warmer months, I thought I’d grab some and make these cookies one last time before the summer. 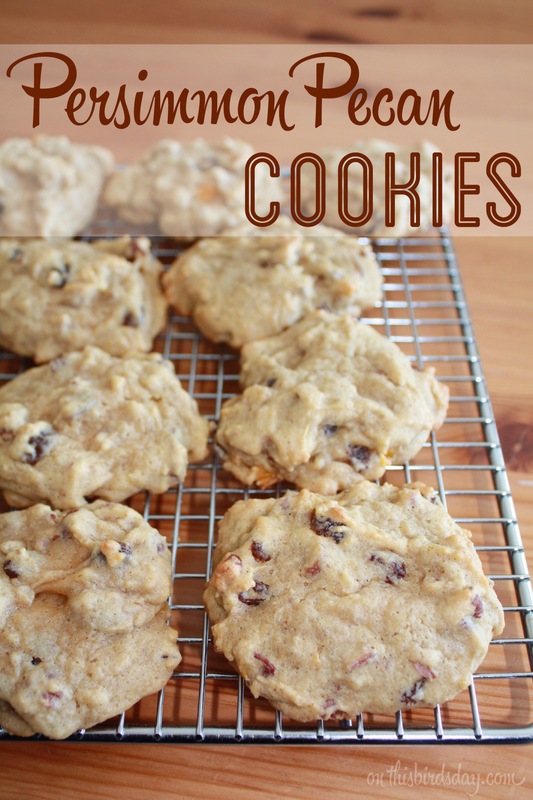 A moist and addictive spice cookie. Great for the autumn/winter months and holidays. Toast pecans for 2 minutes or until very lightly toasted. Set aside. Cream together butter and sugar. Add egg and vanilla then mix well. In a separate bowl mix the flour, baking soda, baking powder, salt, nutmeg, cinnamon, and cloves. Mix the flour mixture into creamed sugar mixture and mix well on low. Add the persimmon pulp, raisins, toasted pecan, and mix well. 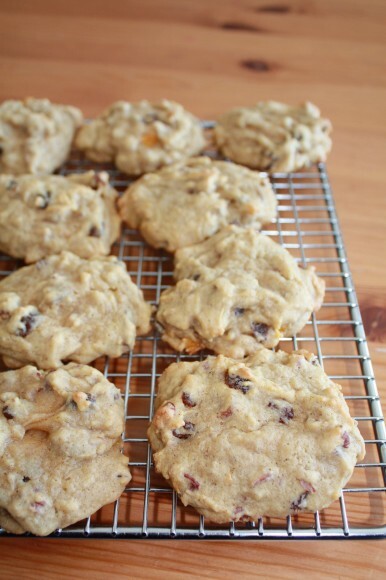 Drop by the spoonful on a parchment lined cookie sheet. There is no need to flatten the cookies as they will flatten on their own. Bake for 10 to 12 minutes at 350 degrees F. Let sit for a few minutes, then transfer to wire racks to cool. 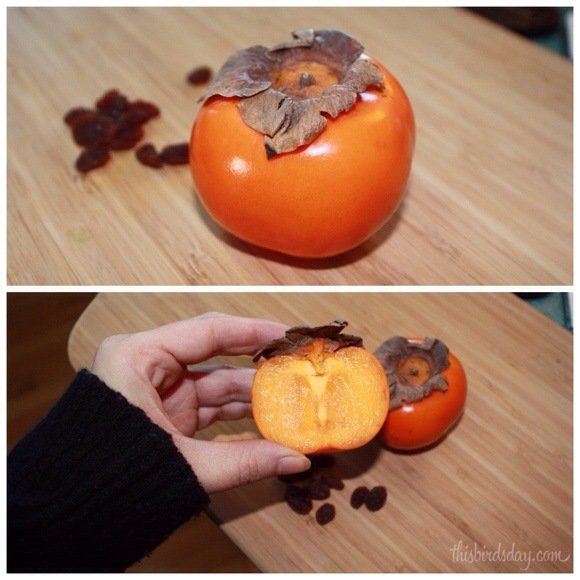 When blending the persimmons, peel them like a kiwi. Just remove the skin and you can use everything else. I used a blender and mixed them until there weren't many little chunks left. When the cookies come out of the oven, they will look puffy and roundish. Let them sit for a few minutes, then transfer them over to a wire rack. They will deflate on their own and will turn into moist, chewy cookies. I’ve never had persimmon..I’m intrigued! They are pretty good Steph. Thanks.